Romantic interest of Verin Mathwin in her youth. From Far Madding. Name used by Verin Mathwin in Far Madding in 1000 NE. An Aes Sedai of the Blue Ajah in 978 NE. First Selector of the Blue Ajah. Resident of Emond's Field. Never married. Killed by Trollocs in 999 NE. 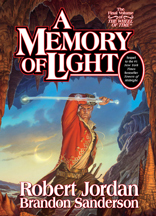 An officer in the Children of Light. King of Safer circa 202 AB. A young servant in the Sun Palace in Cairhien in 1000 NE. The son of a Domani merchant under the influence of Graendal in 999 NE. An Accepted in the White Tower. Killed in an accident. An Aiel of the Neder sept of the Shiande Aiel. A Wise One. An Aiel of the Shaido Aiel in 1000 NE. A Maiden of the Spear. Queen of Jaramide circa 209 AB. Man serving the Salida Aes Sedai during the seige of Tar Valon in 1000 NE. An Atha'an Miere Windfinder circa 1000 NE. Sister to Queen Ethenielle of Kandor. Married to an uncle of Queen Tenobia of Saldaea..
Shatayan of Fal Dara keep. A Seanchan soldier. Tasked by High Lady Suroth with murdering High Lady Tuon. Killed by the Band of the Red Hand in 1000 NE. A palace guard in Caemlyn. Possibly a Darkfriend. A member of the Kin in 1000 NE. An exporter of laquerware. A farmer from Emond's Field. A painter from Emond's Field. Last queen of Manetheren. Wife to Aemon al Caar al Thorin. Killed during Trolloc attack on Manetheren. One of 12 Aes Sedai who met to discuss the construction of Tar Valon in 47 AB. A minor Andoran noble and Darkfriend working for Rahvin. Name used by Seanchan captain Egeanin in Tanchico. Serving girl at The Bunch of Grapes in Cairhien's Foregate. A lord who fought with the Grand Alliance during the Battle of the Shining Walls in 978 NE. Captain of the sailing vessel Blue Crane. Former Queen of Ghealdan. Reportedly committed suicide in 999 NE. Purchased The Wandering Woman in Ebou Dar in 1000 NE. An Ogier. Daughter of Amar, daughter of Coura. Author of Men of Fire and Women of Air, a book on the Aes Sedai written during the beginning of Hawkwing's rule. Claimed to be queen of the whole world in the First Age. A maid serving House Matherin in Andor in 1000 NE. In charge of a farm used by Aes Sedai for penance. Killed in 999 NE by the Black Ajah. A Dashain Aiel. Sibling of Adan. Died of hunger at the age of ten. A Tairen lord in the Grand Alliance in 978 NE. An Aes Sedai in 1000 NE. A member of the Black Ajah. Formerly of the Yellow Ajah. Involved in the murder of Tamra Ospenya in 979 NE and the murder of Sierin Vayu in 984 NE. Aes Sedai and Queen of Aramaelle. Helped establish the Compact of the Ten Nations in 209 AB. An Aiel of the Jarra sept of the Chareen Aiel. A Maiden of the Spear. A cook at The Wandering Woman in Ebou Dar in 1000 NE. A Saldaean Asha'man in 1000 NE. Amyrlin Seat of the Aes Sedai from 142 NE to 171 NE. Originally of the Gray Ajah. Saldaean soldier assigned as footman to Zarine Bashere. An Aiel. Clan chief of the Chareen Aiel. An Ogier weaver. Daughter of Iva daughter of Alar. Married to Loial in 1000 NE. Aes Sedai researcher at the Collam Daan in V'saine. Later known as the Forsaken Lanfear. Amyrlin Seat of the Aes Sedai from 355 NE to 396 NE. Originally of the Blue Ajah. A serving woman in the Aesdaishar Palace in Chachin, Kandor in 979 NE. A Da'shain Aiel. Daughter of Jonai and Alnora. Employed as a maid for Elayne Trakad in the Royal Palace of Andor in 1000 NE. A Seanchan in 1000 NE. An Aiel. Apprentice to Aeron. An Aiel of the Shaido Aiel. A Wise One. Killed at Dumai's Wells in 1000 NE. A Tairen lady. Rival to High Lady Alteima. A Tairen lord. Son of High Lord Torean and a member of House Andiama. A Tairen lord owing fealty to High Lord Sunamon. Serving man in Lord Algarin's manor house in 1000 NE. An aunt of Lady Catalyn Haevin's in 1000 NE. Cook in the employ of merchant Jorin Arene of Amador.